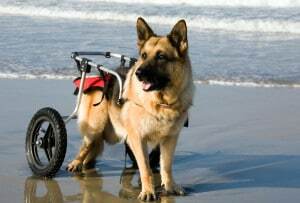 When your pet has a neurological condition you need to ensure that they are kept pain free and that an appropriate rehabilitation program has been tailored to their individual needs and problem. This will help to prevent further injury, stop/slow any deterioration in their condition and prevent other parts of their body from becoming affected. Neurological conditions are not uncommon in dogs, cats and rabbits and can be acquired, idiopathic (no known cause) or inherited such as syringomyelia in the King Charles Cavalier Spaniel. Some neurological problems are specific to a particular type of animal – for example, Wobbler’s Syndrome (cervical spondylomyelopathy) is mostly seen in large breed and giant dogs – while other problems are typically found in certain breeds, such as disc disease in Daschunds and CDRM (chronic degenerative radiculomyelopathy) in German Shepherd dogs. Neurological disorders can sometimes be painful, so it is important to take this into consideration when planning a rehabilitation program for them. Often secondary pain can arise as your pet tries to compensate for their neurological problem. An example of this is cauda equina syndrome in dogs and cats where we often find sore areas in the gluteal, spinal and shoulder muscles as your pet changes their posture in order to avoid causing pain in the lumbosacral region. 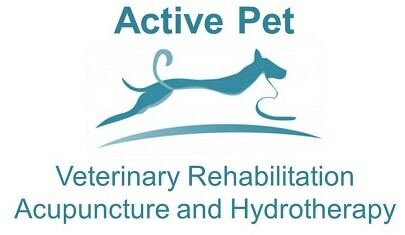 There are lots of different ways that we can ensure your dog, cat or rabbit is kept pain free, ranging from veterinary acupuncture through to massage and medication. Neurological disorders often lead to muscle wastage and this can happen very quickly. When your dog or cat has a neurological problem it is important to prevent muscle wastage and to prevent other muscles getting sore as they try to compensate. We employ a range of methods to treat your pet, including specific exercises, passive and active range of motion and hydrotherapy to ensure that we prevent muscle wastage occurring as sometimes it is not possible to get the muscle back once it has been lost. We will ensure that you have an individual plan for your pet and we will discuss with you the range of treatments that are available and tailor the exercises as your pet progresses.